I don’t have babies, but I’m still a huge fan of the Freshly Picked brand. Susan Peterson, the founder and CEO of Freshly Picked, started stitching together mini moccasins from leather scraps lying around her house. The rest is history. 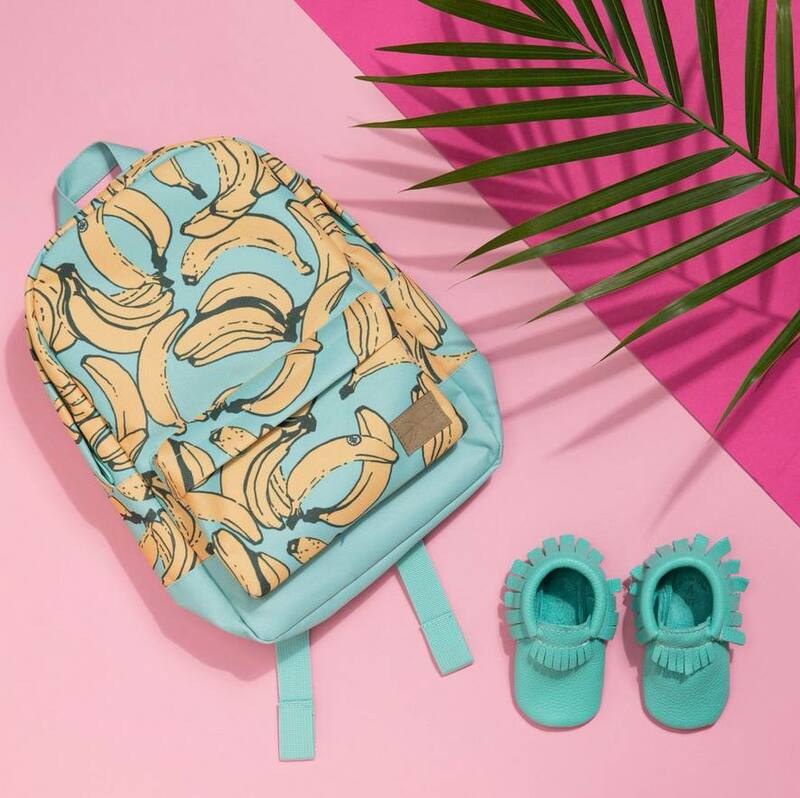 Today super celeb mamas like Kourtney Kardashian and Ciara outfit their babies with FP moccs, and now a new clothing line will enable all of us to get a piece of the brand for a lower price. 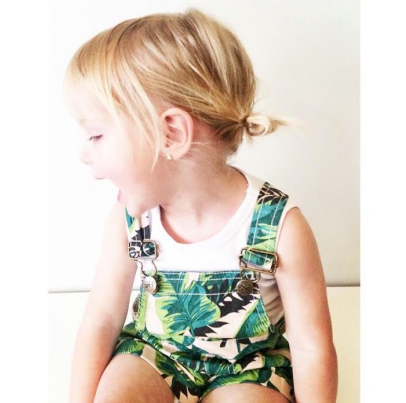 Freshly Picked Tropics is a clothing line for kids, featuring overalls, onsies, moccs, tops, bottoms, and backpacks. The palmetto motif of The Beverly Hills Hotel inspired the prints and patterns, and the verdict is in: it’s all freakin’ adorable. Plus, in lieu of buying $60 moccs you can now buy a $20 tee, which opens the brand up by meeting a variety of price points. But the best part of the new line? Its campaign. Finally we see a campaign that celebrates motherhood in all its forms. 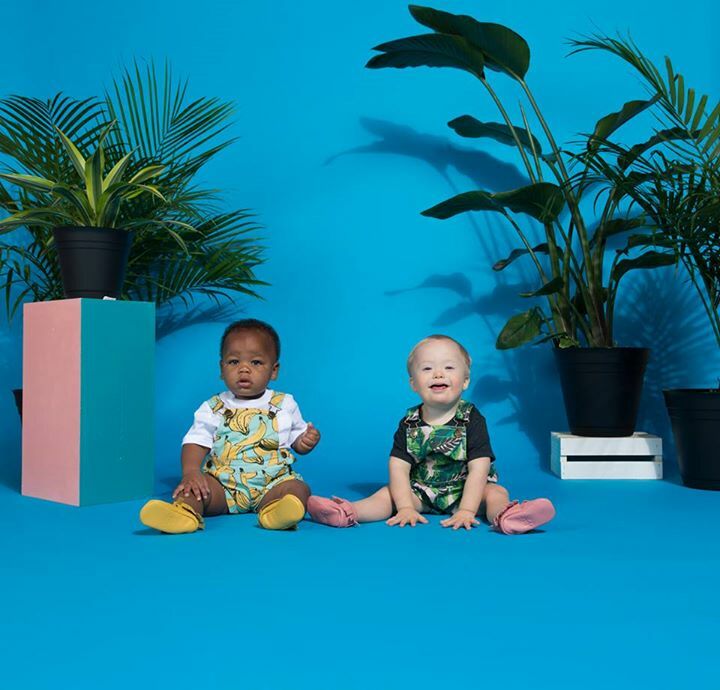 Babies of all races and a child with Down syndrome makes an appearance in FP’s ads, which is refreshingly normal. No one woman’s journey in motherhood is the same, and this ad reflects that. 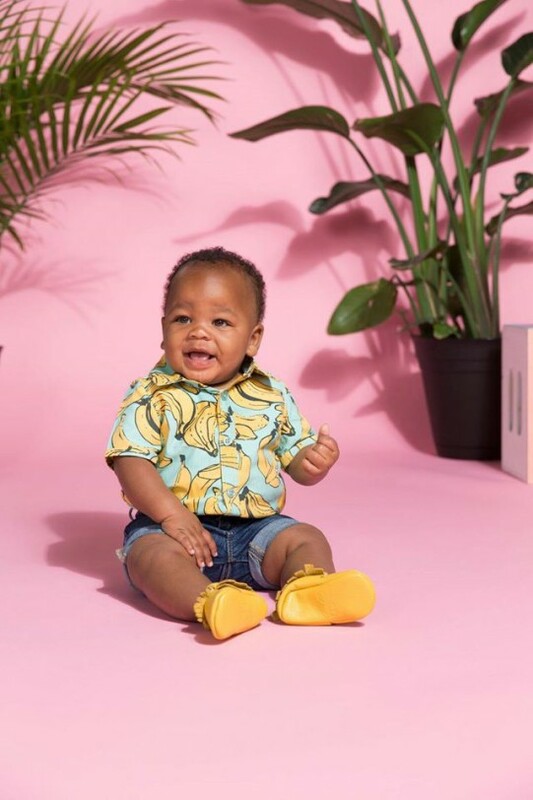 Further, we tend to believe that dressing kids adorably and comfortably is reserved for a select few mammas, and FP reminds us that we all deserve a slice of the same adorable pie. Touché, Susan. I often hear about motherhood in a very “black or white” way – it’s either scary and exhausting or joyous and fun. FP offers a different view, and one I like better: motherhood is diverse and lovely and fun and joyous and imperfect all at the same time. It can be (and often is) a lot of different things, and that’s what makes it great. Thanks for reminding us that motherhood is an inclusive club, Freshly Picked. We are so glad you’re a part of it.